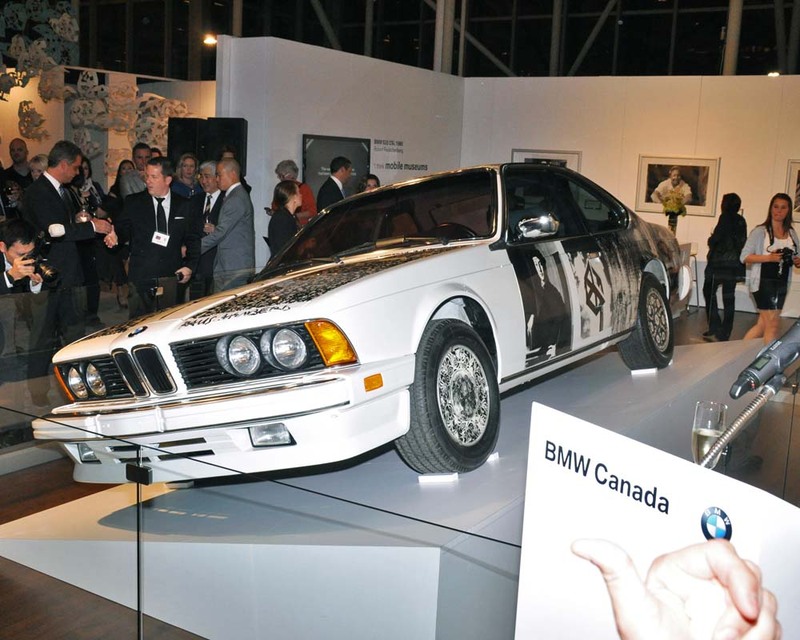 Artist Robert Rauschenberg used the BMW 635 CSi for the 1986 BMW Art Car which is on display during Art #Toronto 2012. 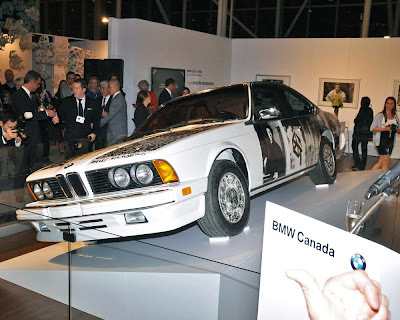 This is the first Canadian viewing of Rauschenberg’s creation which was number 6 in a series of BMW Art Cars that now numbers 17, one of which was painted by Andy Warhol. 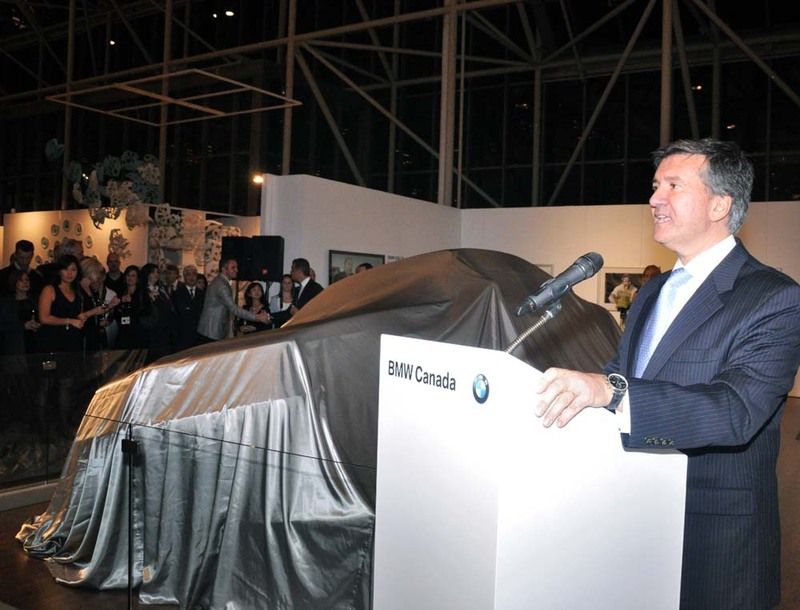 The unveiling happened during the Opening Night Preview held Thursday night. The unique automotive canvas started in 1975 and the first ones were actually used in races – now they are museum pieces. 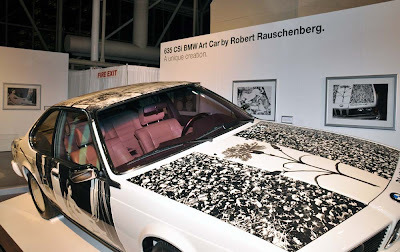 Robert considered them as mobile museums. 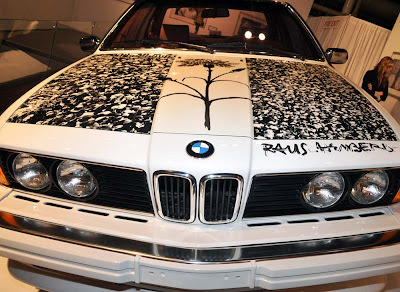 He was an artist that was successful in many mediums and often combined them in his works. He was also combined the art of Bronzino and Jean Auguste Dominique in his BMW Art Car. 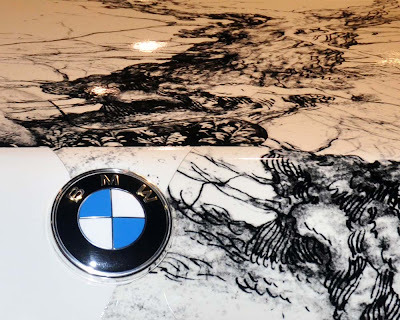 The last BMW Art Car was completed in 2010 by Jeff Koons. Art Toronto (Focus Asia 2012) is an international art fair which opens Friday, October 26 and continues till the 29th at the Metro Toronto Convention Centre. You can see my photos from the Art Toronto Opening Night Preview on my post here. See more of the car after the jump.